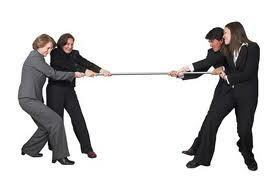 It is said that competition is a key ingredient in retail. But in its rawest form competition can be destructive and like many things retail perhaps a more sophisticated approach is desirable here. A trader recently expressed concern at increasing competition within the market. His concern is that key products in his range are being cherry-picked by new traders and heavily discounted. Selecting a limited range, perhaps compromising on quality, and then buying in volume can bring price reductions, but at what cost? Our established trader carries a broad range of goods, insists on top quality, and backs up with a range of services including, website, social media engagement and a variety of delivery options. Of course some competition can be healthy, and after all we are a market, but is a rush to the bottom doing us any favours? Shopping centres carefully curate their offer, and yes there is strong competition, but it is more about complimentary competition. In other words, varying the offer so that it broadens rather than creates sameness. Retailers are selected for the niche they have carved in the retail framework, rather than just their ability to sell the same thing at a cheaper price. And then there are wholesalers many of whom understand the importance of a unique offer. If you want to stock the same product as another retailer in your immediate vicinity, you will be discouraged. Why kill the established retailers business with price based competition? This is a complex issue. Maintaining a competitive offer while protecting the traders who have put in the hard work is not easy. It is easy to say “let competition take its course”. Perhaps a better way is to curate the offer so that each new trader adds to the total rather than cannibalises somebody else’s products. We all want financially successful traders who get reward for effort and feel they are part of the market family. There are enough headwinds from outside competition without adding internal ones.